Parsnips are notorious for being difficult to germinate. Even under controlled test conditions the results from the same batch of seed can be variable. Germination can take anything from a week to month. These parsnip germination tips, some passed on from my readers, should help you get better parsnip germination. 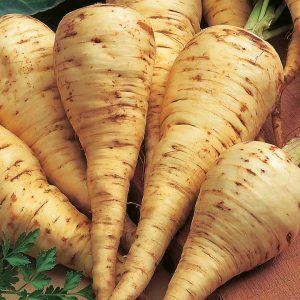 At best parsnip seed is only viable for two years, usually one year. This is one seed that is not worth keeping any leftovers so buy fresh seed each year. The parsnip grows best in a sweet soil, that is a soil with a pH of 6.0 or above. If your soil is at all acid, apply lime in the winter prior to growing parsnips. Parsnips like a stone-free, light, fertile soil but not a soil recently manured. 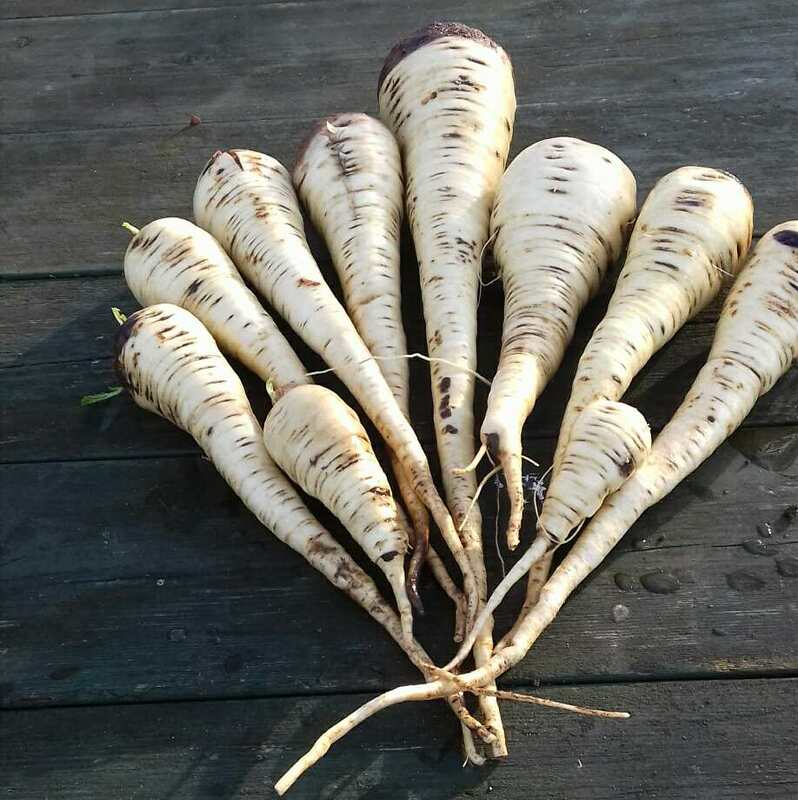 To give the parsnips the ideal growing conditions, take an iron bar or large dibber and make a hole in the ground about 2 ins (5 cm) wide and a foot (30 cm) deep. Fill this with a good compost. Some growers like to add sand to the compost mix to keep it light. One old method of sowing parsnips was to pour boiling water along the drill to sterilise the soil. I don’t recommend this as it probably does more harm than good to the soil. Another old tip was to soak the parsnip seed in urine for a couple of hours prior to sowing. I’ve not tried this. James Wong suggested soaking parsnip seed for a couple of hours in a solution made by adding a teaspoon of cinnamon and a soluble aspirin to one litre of lukewarm water to increase germination rates and reduce problems with damping off of the seedlings for a couple of hours. Many growers like to chit or pre-germinate their parsnip seeds using the same method that I use for sweetcorn growing. Line a Tupperware container or a plastic tub with a lid (old ice cream cartons work well) with a few layers of kitchen paper towel. Water the towel so it is wet but not swimming. Sprinkle the seeds on the surface and put the lid on. Place the tub in a warm, dark place. After 5 days check daily for sprouted seeds. Once chitted it is important that the seeds are sown promptly and watered well to make sure the soil or compost is in contact. If they dry out they will die. A soil temperature thermometer is immensely useful when propagating and pretty cheap to buy. Parsnips will germinate at as low a temperature as 2ºC but at low temperatures parsnip germination is very slow and there is a good chance they will rot or be eaten before they germinate. This is why the advice to sow as early as February when the soil is cold can be counter-productive. 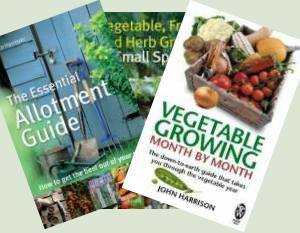 If the seed germinates then there will be a long growing period but more often than not the result of a February sowing is no crop at all. For outdoor sowing, March and April when the soil is warming will give much better results. If the ground is covered with fleece or cloched a couple of weeks prior to sowing the soil temperature will be raised by a couple of degrees which can make a large difference. Keep the soil covered until the seedlings emerge. The seed is small but not too small to handle so station sowing is the best option. 3 to 5 seeds are sown in a clump about half to an inch deep and covered with sifted soil or compost. Gently water in. Because it is easy to lose track of the row as parsnips are slow to germinate, some growers sow sacrificial fast-growing radish along the row at the same time. This avoids accidentally hoeing off the parsnips with the weeds. Following germination, remove all surplus leaving the strongest seedling to grow on. Mr Derek Wade shared his growing method with outdoor sown parsnips on a clay soil. A method of handling parsnips in clay soil which I found successful was to make conical holes with a dibber or iron bar. Fill the hole with compost, water it, place three seeds, cover with compost & soil and keep moist. My soil is fine now and so I check for stones etc. first then sow in rows. If grown too closely spaced the roots will be small. Standard spacing is 6 ins. (15 cm) in rows a foot (30 cm) apart. 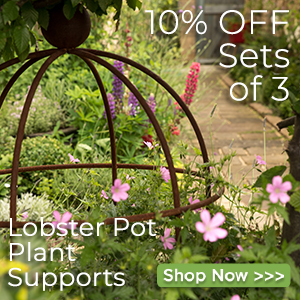 With deep raised beds or when sowing on compost filled holes a spacing of 6 to 8 ins. (15 to 20 cm) each way is ideal and will produce more good roots in less area. 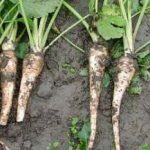 With both parsnips and carrots, starting them off undercover and then transplanting is going to result in forked and distorted roots so transplanting is not recommended. There are some workarounds though that enable the parsnips to be started under glass in ideal conditions and then planted out. A coldframe or cold greenhouse will be a few degrees warmer than outside but it’s probably not worth the effort of starting parsnips under cover unless you have a heated greenhouse or propagator. The concept is simple. The seeds are planted in compost in the pots which can be kept in the propagator until they germinate. After hardening off in a cool greenhouse, coldframe etc they are planted out pot and all. This avoids any root disturbance so long as they are planted out before the root has time to reach the bottom of the pot. Once outside the pot degrades and the root just carries on as if it was in bare soil. Jiffy pots have a drawback in that they may be slow to degrade and allow the root through but this doesn’t apply to paper pots or toilet roll inners. With toilet roll inners they have a tendency to dry out as water percolates through the sides. You need to keep a close eye on them. The same applies to paper pots but get them too wet and they tend to fall apart. For the past few years I have started my parsnips off in toilet roll centres in a cold greenhouse. These are deep enough so that the plant can develop well before the root growth is checked at the base of the roll. The benefit of root trainers for starting parsnips are the deep straight pots do not degrade when wet or allow evaporation through the sides. It’s still important to get them planted out before the root reaches the bottom of the pot. Planting is a little trickier with root trainers but, as they open up, so long as the compost is firm the parsnips can go in without disturbing the roots. Regarding the sowing of parsnips, over 60 years I have found the best way, even though it is quite mild here in Bristol, is to sow in root trainers three seeds in each cell placed in heat, when they have germinated remove from heat and keep on greenhouse bench or in a cold frame, when they reach around three leaves thin to the strongest one and when the root reaches the bottom it is easy to plant out without much root disturbance. I have tried planting directly into the soil and find that you get very poor germination if you sow before April 1st. Many on the surrounding allotments complain that it’s the seeds but I know as you say it’s because they sow too early and the soil is too cold. 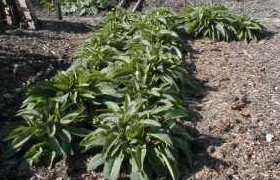 I have used this method since the long root trainers were available and I have always had a crop of large Tender and True which I consider the best variety for taste.